I feel that last week's ruling against Microsoft by EU's second highest court could be a strong blow to Microsoft. The court upheld the European Council decision of March 2004 saying that Microsoft abused its monopoly in computer operating systems; that its anticompetitive business practices have limited consumer choice; and that remedies imposed by antitrust regulators — including the forced licensing of sensitive technical details of the Windows operating system to competitors — are appropriate. I am placing a serious analytical link here. You can click here and read in detail if you wish. Despite my being a Microsoft loyal for long, I must admit that I feel now that Microsoft should rethink its business strategy. It should understand why competitors are hell-bent on fighting it based on anti-trust law. And why these competitors are feeling that they are being cheated out of selling their own products. I think its time now that the people of Microsoft weigh their own actions against ethical principles. Let’s look at it this way. We know that arguably 90% of the world's computers are now running Windows Operating Systems. But do we know whether Microsoft has achieved these astounding sales with ethical business practices? Because today, when you buy a Microsoft Windows Operating System you get with it, a lot more. Among many other software freebies, you get the latest of Internet Explorer browser, Outlook Express e-mail ware, Windows Media Player, and the Windows Movie Maker. All bundled. And All Free. So, obviously, customers would buy it up. And the sales chart would look up. But this has been annoying other software vendors who make browsers, media players or movie makers. And quite rightly so. After all, why should Microsoft kill these competitors’ market segments by offering products free in those segments? Isn't Microsoft exploiting its dominant market position, by these bundled offers? Isn’t Microsoft preventing other software vendors from purveying their wares? 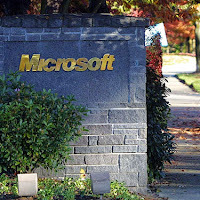 Therefore, it was no surprise when Sun Microsystems and Real Networks decided to take on Microsoft by complaining and thereby moving the court, which after a five-year investigation, said in March 2004, 'Yes. Microsoft has abused its monopolistic position, and used anticompetitive business practices." According to Tuesday’s Seattle Times, Microsoft had settled with Real Networks out of court two years ago for $716 million, and struck an alliance with Sun in 2004. It also has already paid and accounted for the fines. In spite of all that, now, with this Monday’s upholding of that 2004-decision by The European Court of First Instance, it could be very heavy on Microsoft. It now faces a $613 million penalty, the commission's largest, equal to about 3.3 percent of Microsoft's operating income in its past fiscal year. However, Microsoft can still appeal to the Court of Justice of the European Communities, the highest court in Europe, and continue the battle, but will it do a lot of good to its image? That is the question. There may be some who say what’s wrong with Microsoft’s way. It didn’t steal. It didn’t spy. It just gave its own products free. And some may even quote “All is fair in love and war”. But this is Business. And when Business does not seem fair, there is always competition that will fight for it, and the government that will insist on it. Business Ethics is not an oxymoron. Anymore. Atleast not in these days.